– Edited by Paul Monopoli. What has become tradition and has now become standard are the panels and shows hosted by members of our team. First of which is the return of the Super Video Game Trivia Challenge. This year it will take place in Panel Room A on Saturday at 1:30. Since 2012 the Super Video Game Trivia Challenge has been entertaining and informing AVCon audiences with a plethora of video game trivia. Join host Paul and the rest of the Retrospekt team as we bring you even more facts and fun in 2015. 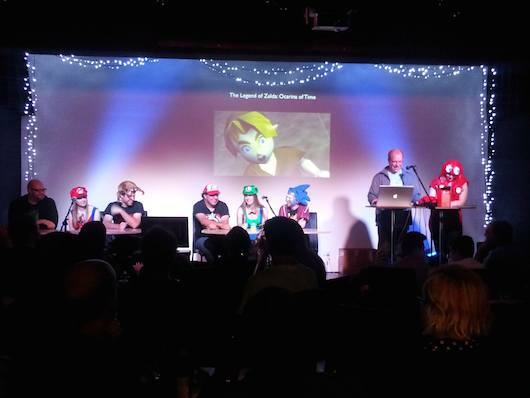 Often thought provoking, always entertaining, the Super Video Game Trivia Challenge is a show not to be missed. On the Sunday at Panel Room A at 1:30 is another panel hosted by Paul titled: Sufami Turbo: The Unknown Super Nintendo. The Sufami Turbo was a dual cartridge system released for the Japanese Super Nintendo in its dying days. Join Paul as he showcases this rare system and its complete (but small) library on stage. Come & check out the games & find out the best places to buy the system. Also be sure to check out Paul’s article about the Sufami Turbo which can be found right here. Saturday 10:30AM – Japanese GameCube Games: This short presentation presented by Paul Monopoli delves in to some notable Japanese GameCube titles that are worth adding to your collection. If you’re a GameCube collector you might want to take some notes, as there will be some obscure and fun titles on display. Saturday 12:00PM – The Rise and Decline of the Video Arcade and the Rise of the Barcades: This presentation delves in to the history of video arcades in Australia, covering their rise and fall, with their eventual resurrection in the form of barcades. Hear from former and current barcade and arcade owners talk about a large piece of gaming history. Sunday 3:00PM – Doom is on Nearly Everything: Doom was released on just about every system known to man! Join us as we explore the various incarnations of this 3D classic. While the panel won’t feature every port of Doom available (we don’t have all day!) if you’re a fan then come along and join us in Hell! Saturday 3:00PM – Battle Stadium D.O.N. 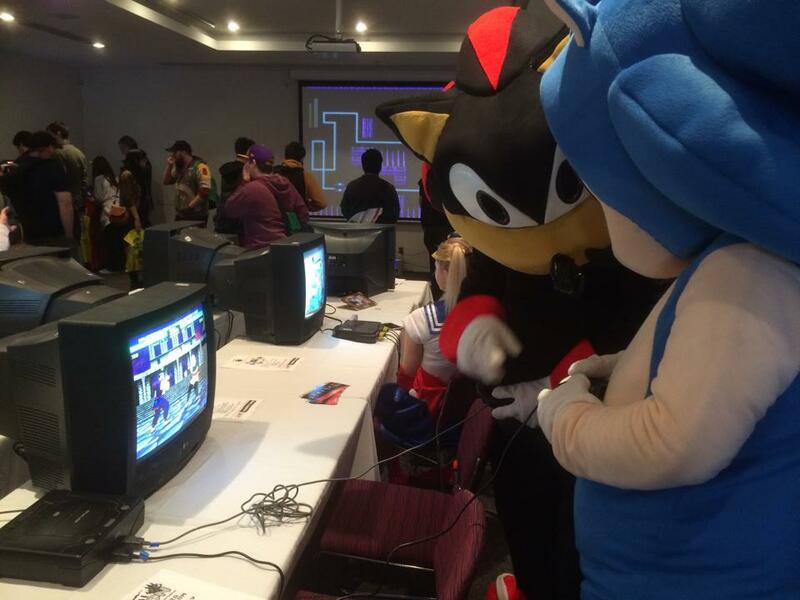 (32 Players) : Super Smash Bros. tournaments are among the largest hosted at AVCon. What happens when you combine the gameplay of Smash Bros. with three popular anime series? You get a Japanese exclusive game featuring characters from Dragonball, One Piece and Naruto. Do you have what is takes to win? Enter our special tournament and pit your skills among the best! Sunday 10:30AM – Mario Bros. (16 Players): Mario and Luigi battle is out in this timeless classic. Avoid the enemies, collect the coins and try to prevent your opponent from winning. What separates Retrospekt from other retro gaming websites is that while we love to play retro games, we also love to have fun and party. This year, in association with AVCon, we will be hosting a Saturday night spectacular that we like to call: After Dark. Mortal Kombat X will be on the big screen, with DJs, Visuals and Live music! For more information on the line-up, visit the Facebook Event page, and of course avcon.org.au. We look forward to seeing you all at the Adelaide Convention Centre this weekend. It’s going to be a big one! !